NEW-TEC offers service intervals to match our customer’s needs. We would be happy to discuss your needs and tailor a plan suitable for you. NEW-TEC has been offering Integrated Pest Management (IPM) services since we started over 25 years ago. 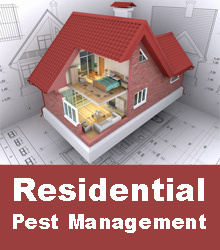 According to the Environmental Protection Agency (EPA), IPM is the coordinated use of pest and environmental information with available pest control methods to prevent unacceptable levels of pest damage by the most economical means and with the least possible hazard to people, property, and the environment. In other words, IPM is about using the least amount of pesticide(s) to help reduce / minimize insect activity in and around a structure while also using non-chemical aids such as monitoring traps, reducing harborage points, preventing interior access, and good inspections. NEW-TEC offers several payment plans for our customer for less than a $1.00 per day for guaranteed pest service. On the initial (first) treatment, we treat the entire inside of the structure using a crack and crevice treatment method putting all treatments out of the reach of children and pets. There is no odor and nothing that will get onto your foods or dishes. We treat the attic if it is accessible. The exterior perimeter and underneath (if applicable) of the home is treated with a pressure rig to be able to penetrate all flowerbeds around the home. Service also includes sweeping down of spider webs and removal of wasp nests in accessible areas. Since the baits we place in the structure last for long periods of time, we come back on a quarterly basis (once every three months) to treat the perimeter of the structure to prevent pest build up from occurring around the structure. This is often more convenient for our customers because you do not have to be home for service. If at any time during the three month period you are having a problem, NEW-TEC will come back out at no charge to you to treat the problem areas. NEW-TEC offers a one time service to our customers with a 30 day guarantee. Treatment is for interior and exterior.